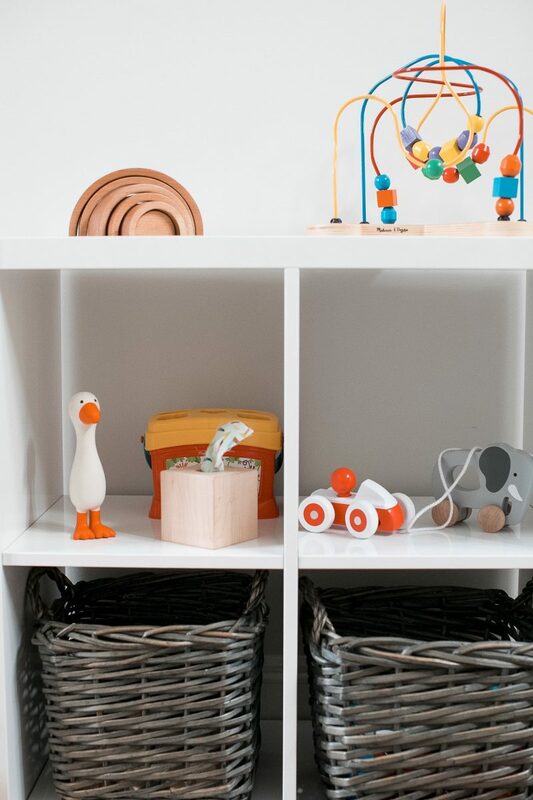 Do the words “organized” and “playroom” even belong in the same sentence? 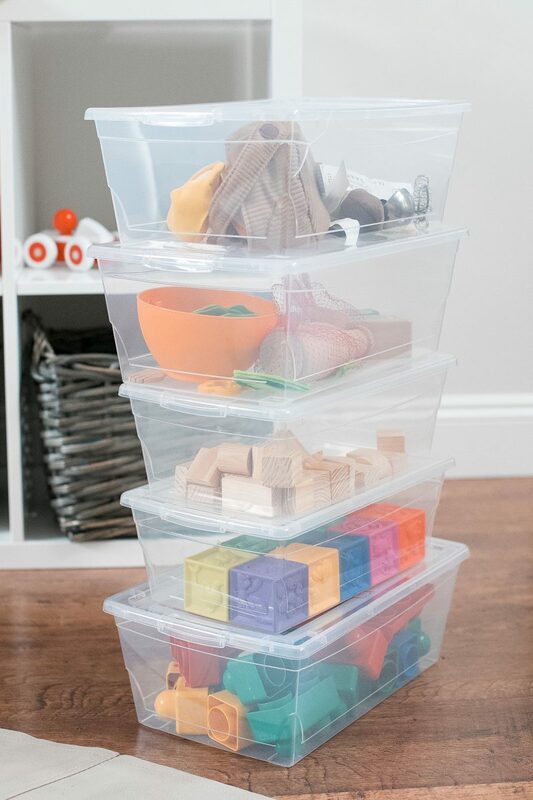 I didn’t think it was possible before but I’m happy to inform you that I believe I’ve found a solution on how to set up an organized play space! When our older kiddos were younger we had what I would consider complete CHAOS when it came to their play room and toys. Multiple bins of random toys that would literally get pulled out, spread throughout the room, barely played with and then throw back in the bins in an effort to tidy. I’d go through these bins once in a while and end up throwing out the most random objects that had no purpose, were broken, or for that matter, werent even toys. There were dollar store toys, happy meal toys, large toys, small toys, toddler toys mixed with school age toys, and everything in between. 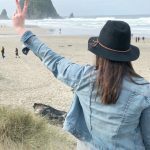 To say the least, it was a point of frustration for all of us because the constant state of clutter stressed me out and the lack of organization made it difficult for the kids to properly clean up or even really enjoy. Looking back now, I should have just noticed what they actually loved playing with and what they were interested in and went with those themes, junking the rest. For example, my son loved Lego so we should have ran with that theme and organized a really great lego area. Our daughters loved Polly Pockets, so we could have really played on that theme and made an amazing collection. 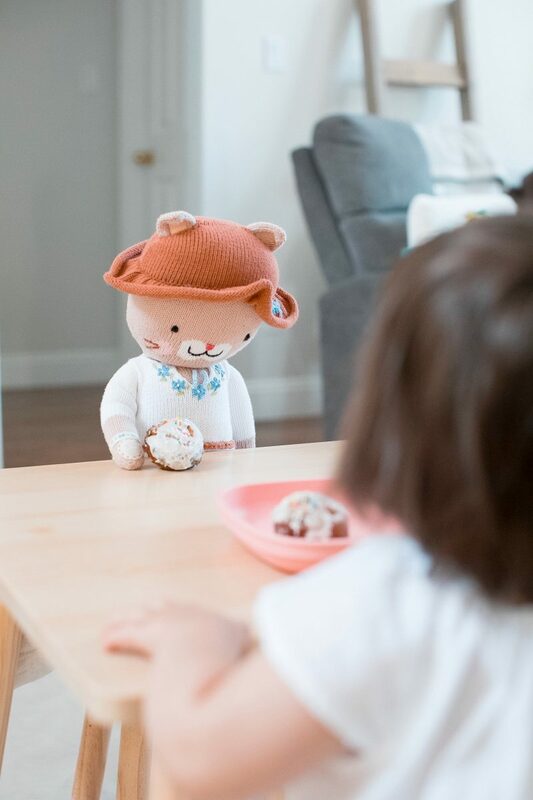 Plus, they all LOVED Build – a – Bear’s and would spend hours in a day playing house with these special stuffed toys. So, this time around I was determined to be more exclusive in our toys choices and plan a play space that made sense, was organized, and was more focused on quality over quantity. 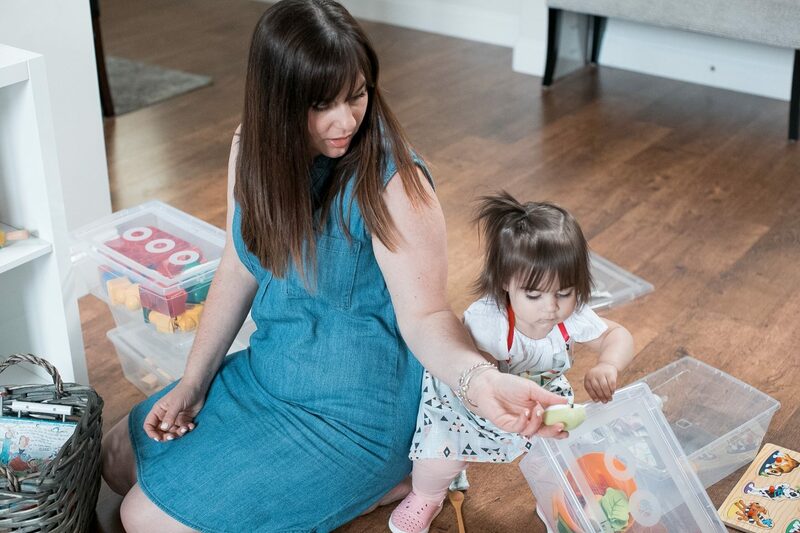 I started reading up on this and thankfully have a great friend who is ECE trained and she was happy to teach me some interesting facts about the basics of play and development. 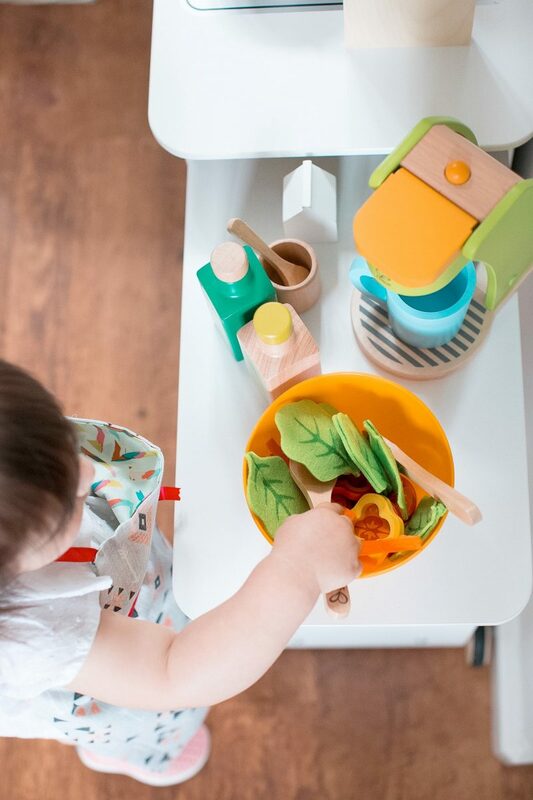 I learned that I can observe my childs interests and work with our home environment to design a play space that is specifically catered to their individual interests and developmental needs. 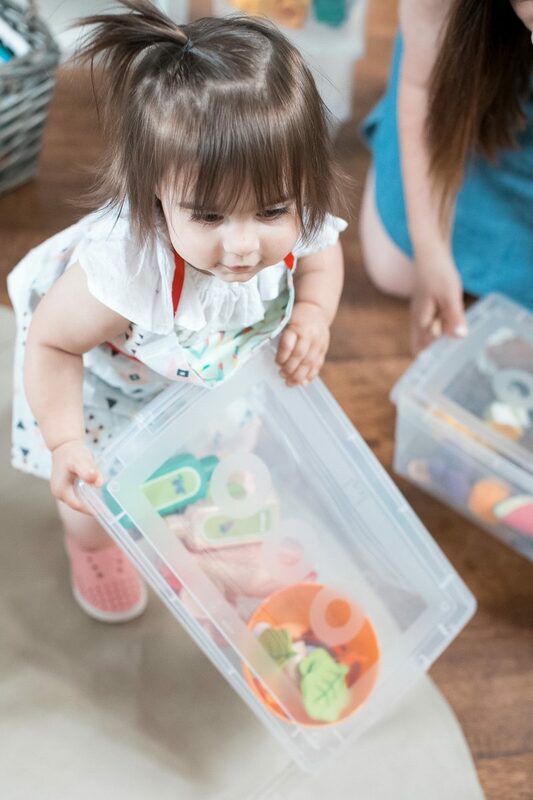 With my new found knowledge, I was able to set up 4 spaces within our home that encourage a functional and organized play experience. This space is set up to encourage what is termed as dramatic play. This type of play is designed to incorporate real life. So for example, making coffee like mom and dad, cooking in the kitchen, washing dishes, dressing a baby doll and more. 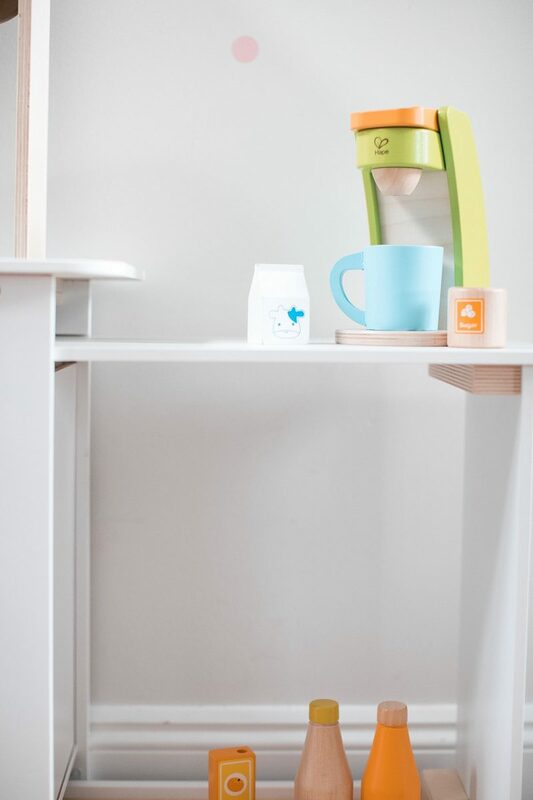 Some key elements in our home include a coffee station because we love coffee, a daddy who loves to cook and a mommy who loves entertaining, so it was fitting that we would provide a space where Mila could imitate what’s already naturally occurring in our home. 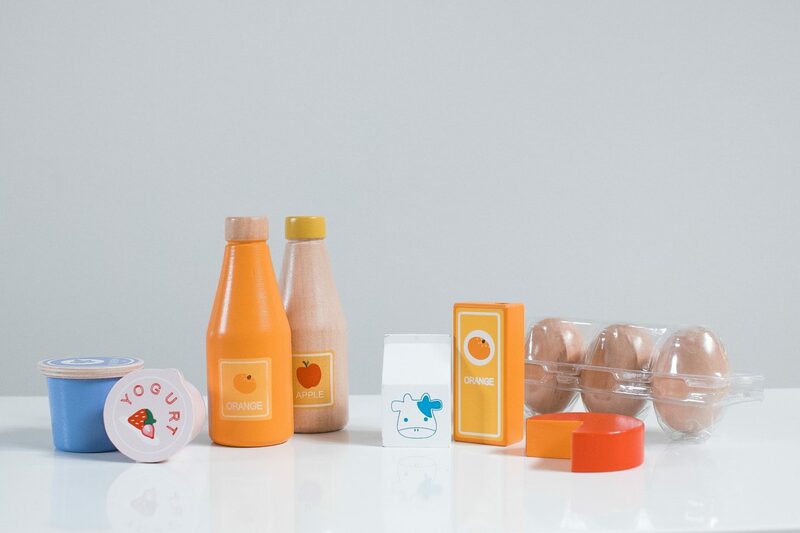 And the next food set was a Hape salad kit. 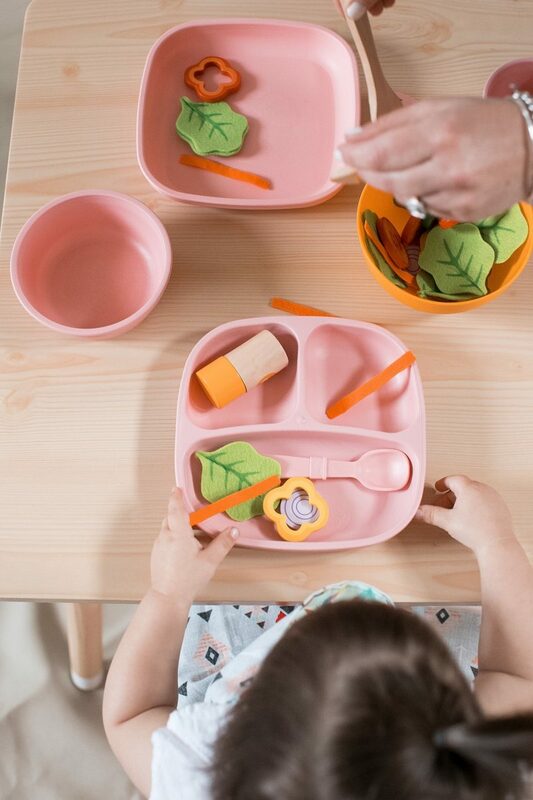 The Hape line has a variety of other adorable food sets including a sushi set, pizza set and more. 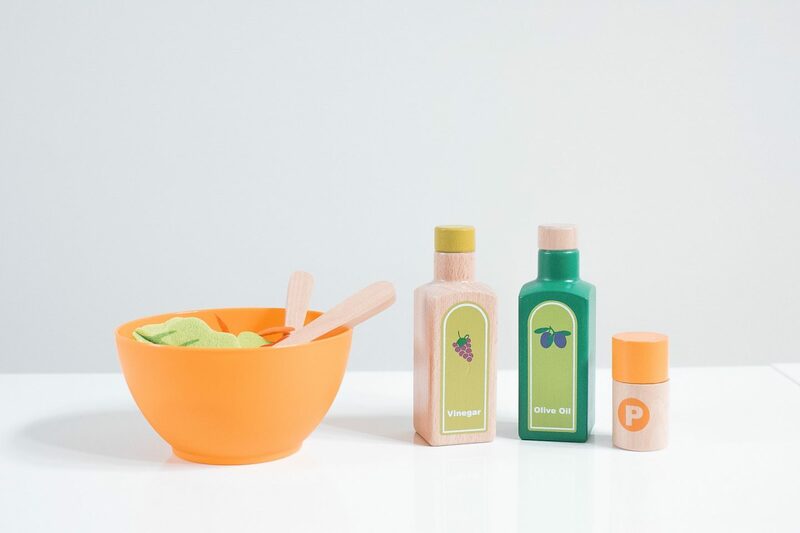 The 2 sets we got are a great basic start up and encourage healthy lifestyle. 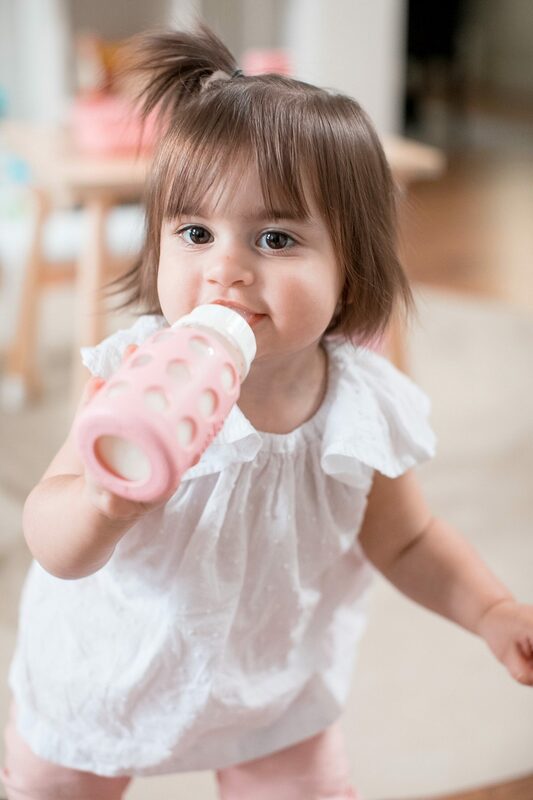 I was thrilled that Kradles carried this brand and that I was able to source them locally! I’m a big believer in quiet moments, learning how to play on your own, and to put it simply, “down time” . As adults, we all need these little moments during the day to catch our breath, take a time out, and recharge. 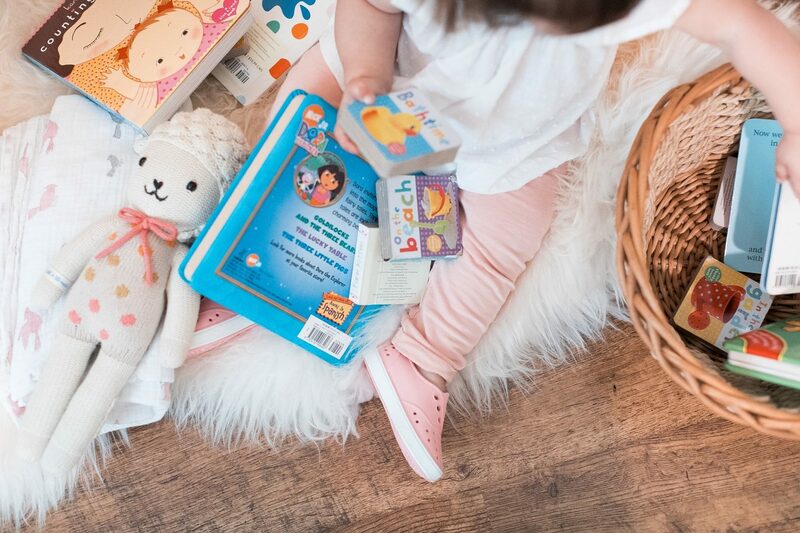 Kids are the same, so why not give them a space all their own where they can read a book, snuggle with a favourite doll or blanket, and learn the important skill of slowing down. 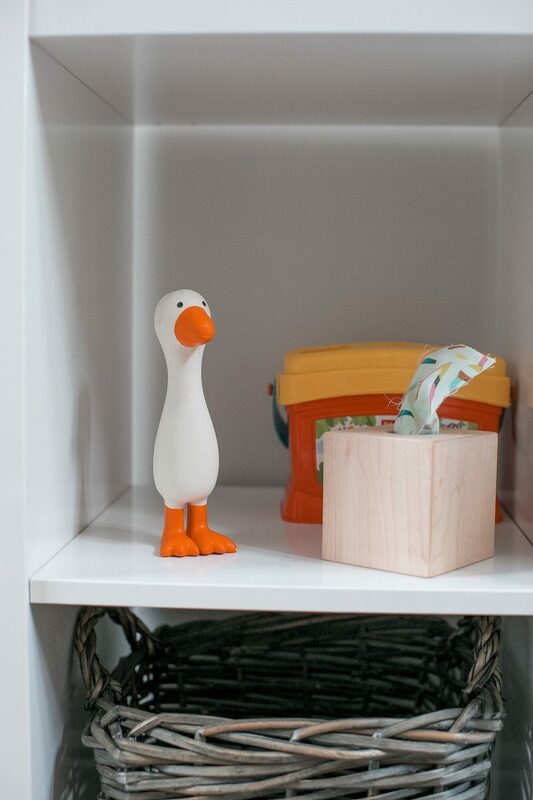 In order to facilitate a space that Mila would love, we stocked this space with items themed to her interests. She is a huge animal lover, and especially dogs which she calls “aussies” because we have two dogs, (one named aussie) . With this in mind we have lots of books with “aussie’s” in them, and its amazing to see that she naturally gravitates to these books over others. 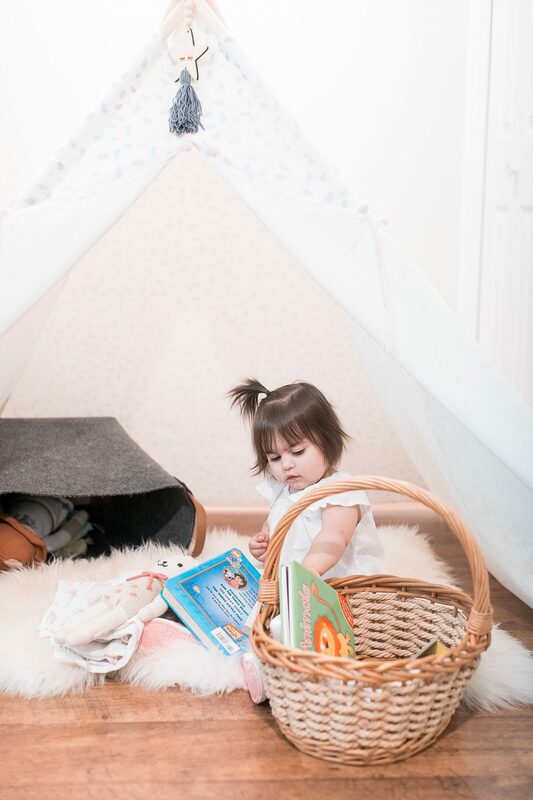 We also included some of her favourite stuffy’s a few blankets, her favourite cuddle and kind dolls, and to complete this space sourced a little teepee and added a sheepskin for the cozy touch. This space helps support fine motor skills. This is accomplished by providing blocks, large vehicles, sorting toys, stacking toys and more. To set up this area I started with a cube shelf from IKEA to help organize some baskets and display a few items. 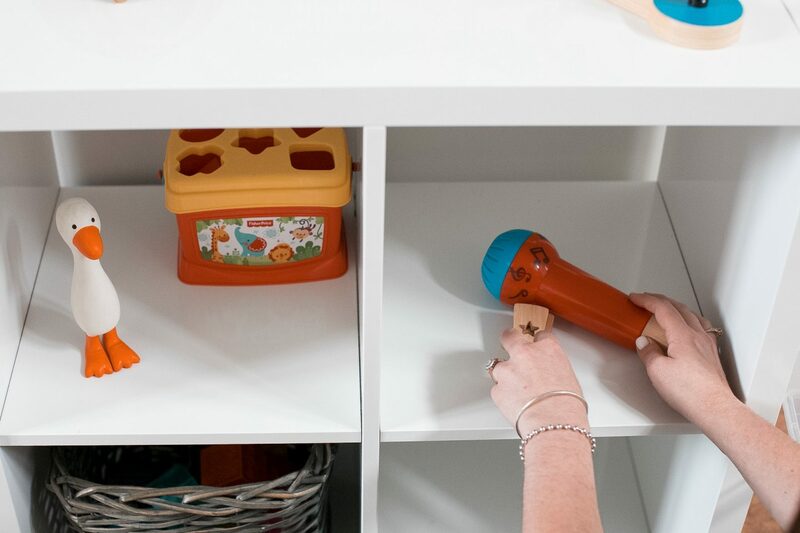 For this space, I worked with my friend Jacklyn from Invitation to Imagination and she taught me so much about the importance of toy rotation, and how it’s way better to have the less is more approach in your child’s play space. 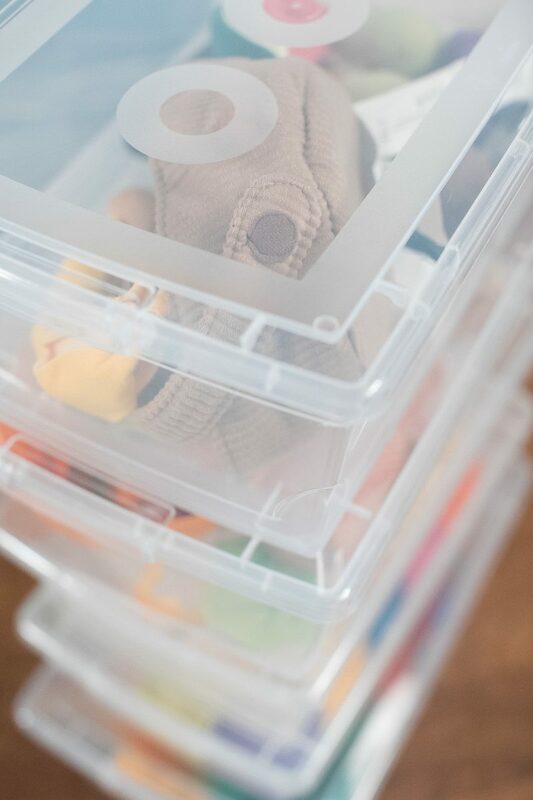 With clear plastic bins, I was able to organize toys and store them in a closet for an easy swap every 2 weeks or so. Its better to have just a few items out then a huge basket full of toys. This concept was amazing to learn about and makes so much sense! I started doing this with Mila, and I kid you not, its like Christmas morning for her each time I do my bi-weekly swap. One basket theme we chose is a “music basket”. Music is a big part of our family. I’m the leader of our church worship department and both daddy and brother also play in the band. We’ve also been playing music for Mila’s bedtime since she was born, and in fact she was born with one of my favourite instrumental worship albums playing in the birthing room. So, its natural that this little girl would love music, so a basket full of musical toys only makes sense. 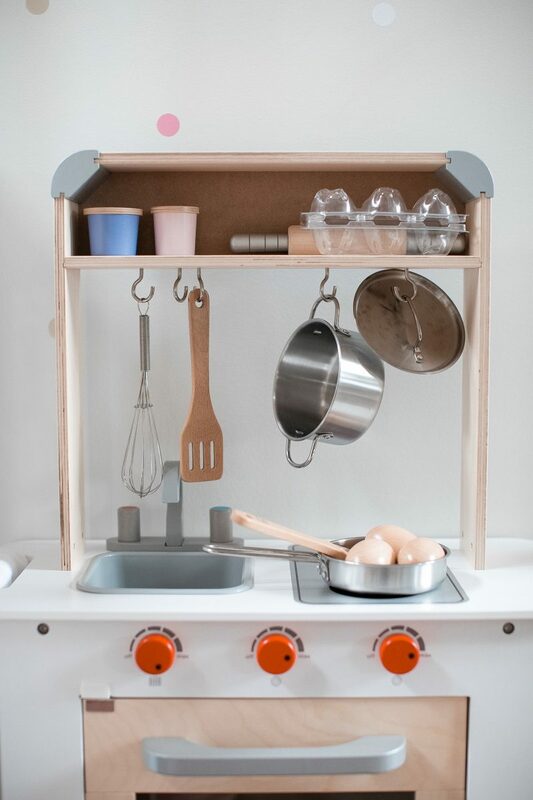 This is another example of how you can cater your child’s space to their specific interests. 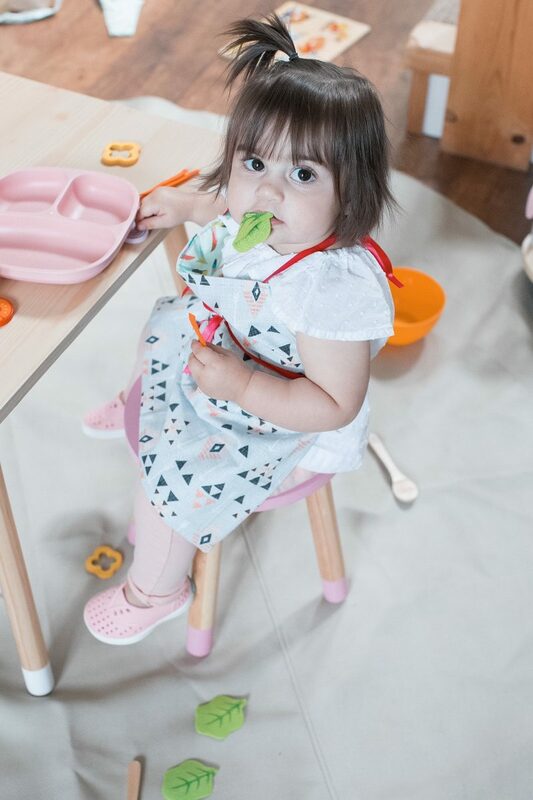 This is a multi use space where we can do a variety of activities which will in turn change as Mila’s grows and her developmental needs change. To start, we chose this table from Walmart Canada. I loved that you could purchase each items separate and customize the exact seating arrangement that worked best for your home. 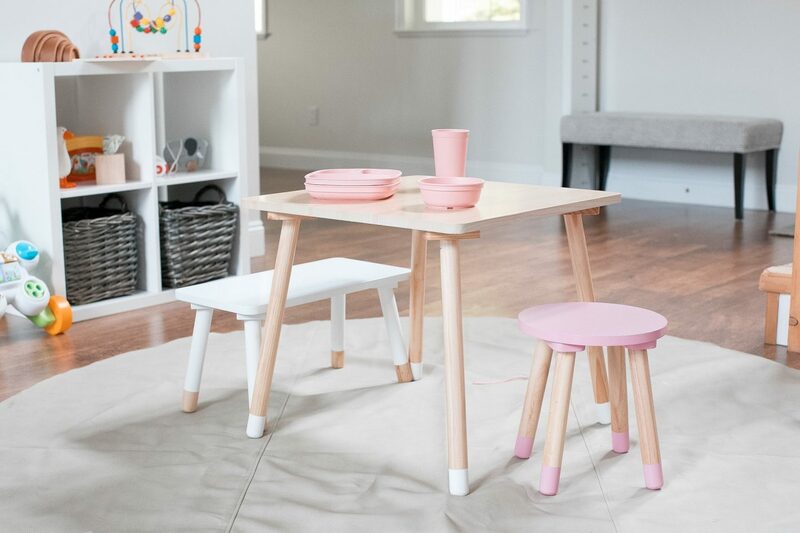 We went with the square table, a bench, and a stool. This area will host puzzles, colouring, crafts, and off course snacks and meals with friends. 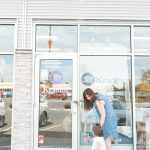 *I want to thank Kradles children store for partnering with me on this fun project and if you are in the Vancouver Island area, I would highly recommend visiting their stores for all of your Baby and Kids needs. **I also want to thank Jacklyn from Invitation to Imagination for helping me set up this play space and providing me with a wealth of knowledge in this area! 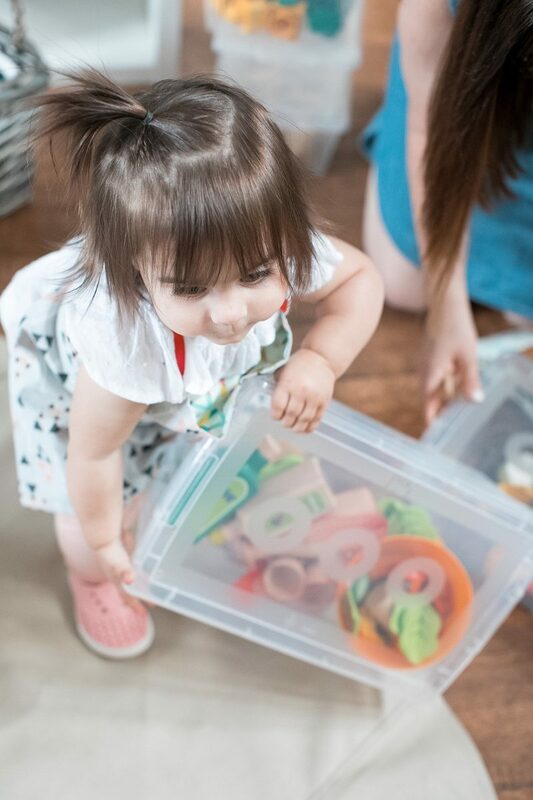 I would highly recommend her services if you are looking to organize your current play area or set up a new space. What a cute space! Once my girls got moving, making them a play space was a must as well. Yes it really does make a difference to have a thoughtfully planned space! I love your style! That play room is everything! I try so hard to keep my kids area clean but it’s just flat out chaos most of the time. I think its impossible to keep a play area spotless, and it shouldnt be because that wouldn’t be fun. I just more so wanted a space that could easily be cleaned up and presentable. 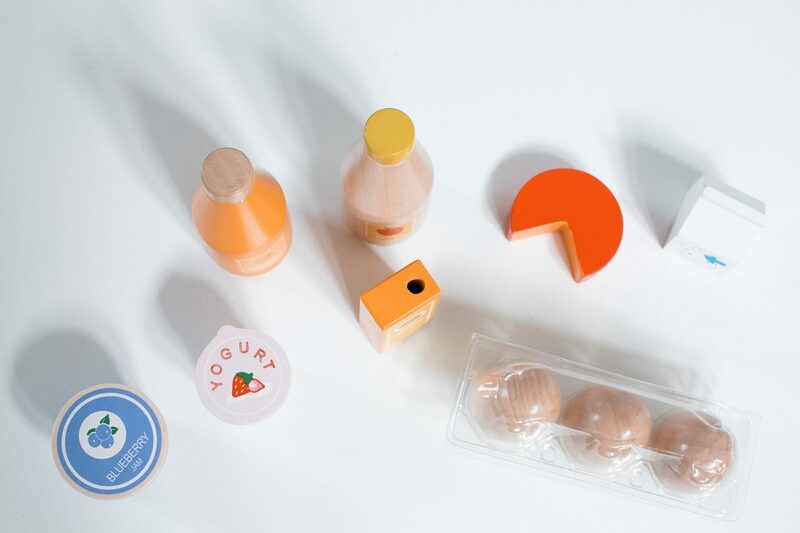 I also hated always losing little pieces to toys and such so having the less is more approach helps keep things more organized that way:) Thanks for reading and commenting! Thank you! It was such a fun space to pull together and I did learn a lot about bringing a bit of organization to the space! OMG I love everything about this! 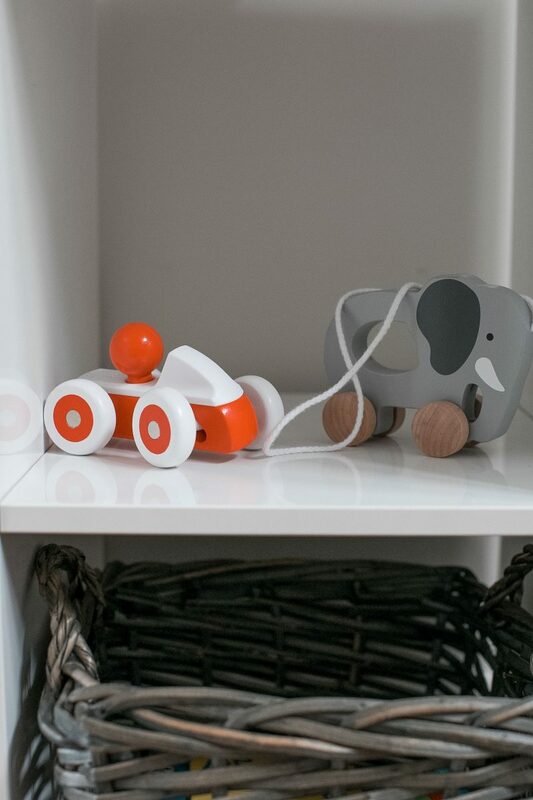 It’s so bright and cheery and I love all the wood toys! That IKEA table is so chic, too! Those are some great tips! This turned into such a lovely play area. I have learned this the hard way, myself. I could have used these tips when the kids were little!! This space looks so awesome!!! This is one of the cutest play spaces I’ve ever seen! It’s adorable. 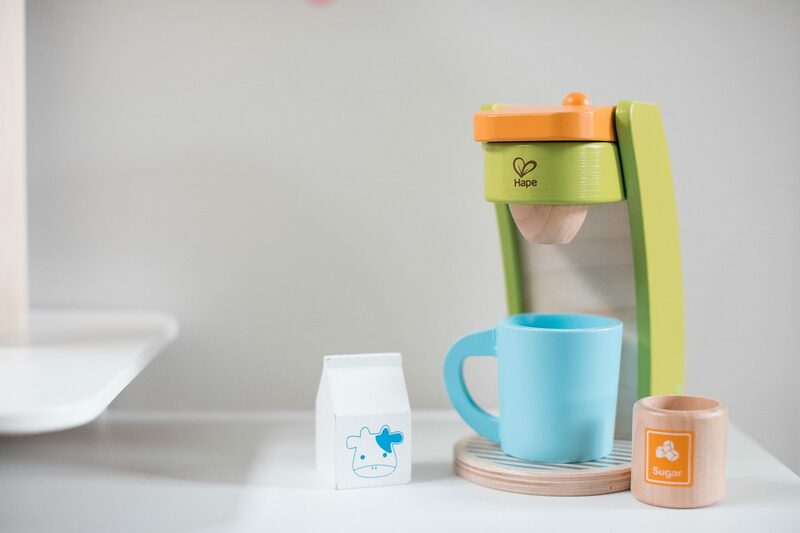 I love the unique kitchen set and play coffee maker. Thank you so much! 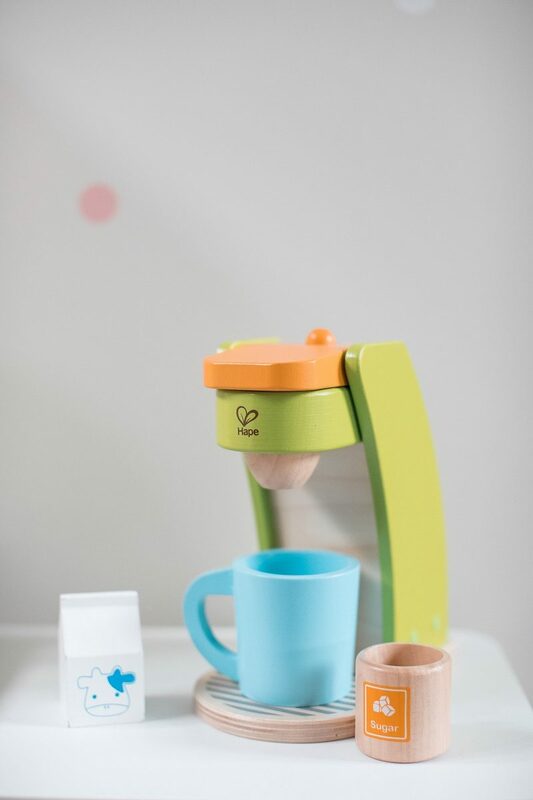 Yes, the Hape coffee maker is adorable right? You should definitely check out their line! this is such a cute space, i love the pink chairs! WOW! I just want a baby so I can do all these cute things. Amazing post and very influential! So true about kids only actually using a very small percentage of their toys! I love the idea of separate playspaces for different kinds of play! This looks so lovely and peaceful. Half of our family is a play area for my granddaughters. Some weekends we manage to keep it orderly….and some weekends it looks like a whirling dervish has come through! LOL. But, it is filled with lots of good memories. This is just the SWEETEST space!! I love all of these tips! I’m trying to create an organized play space for our new home as well. 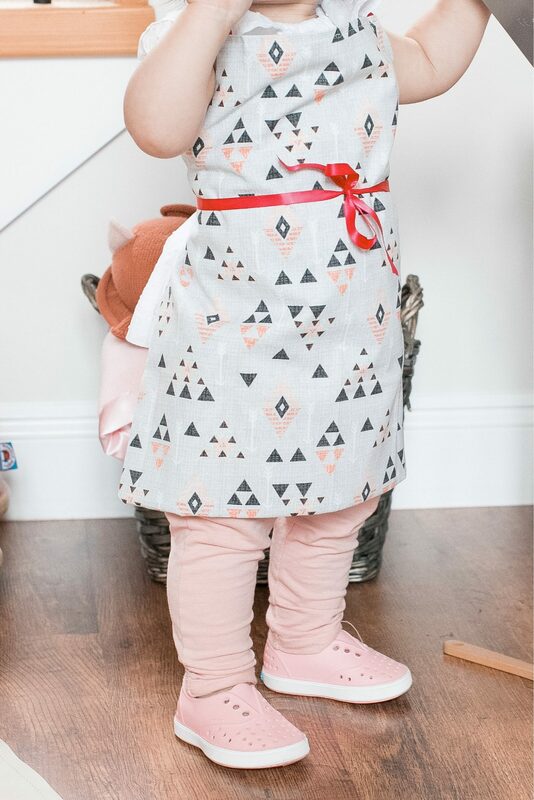 That kitchen is so cute! Love how light and bright and airy your play area is. I absolutely love this! So many awesome little details! Love this space so much – so bright and clean! 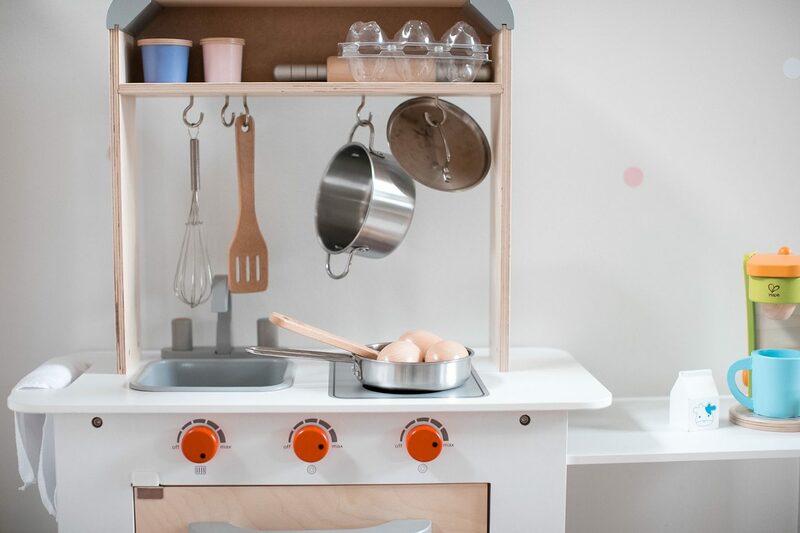 That kitchenette and little coffee maker is the cutest. lol I LOVE the coffee maker! I couldn’t resist since I’m obssessed with coffee! 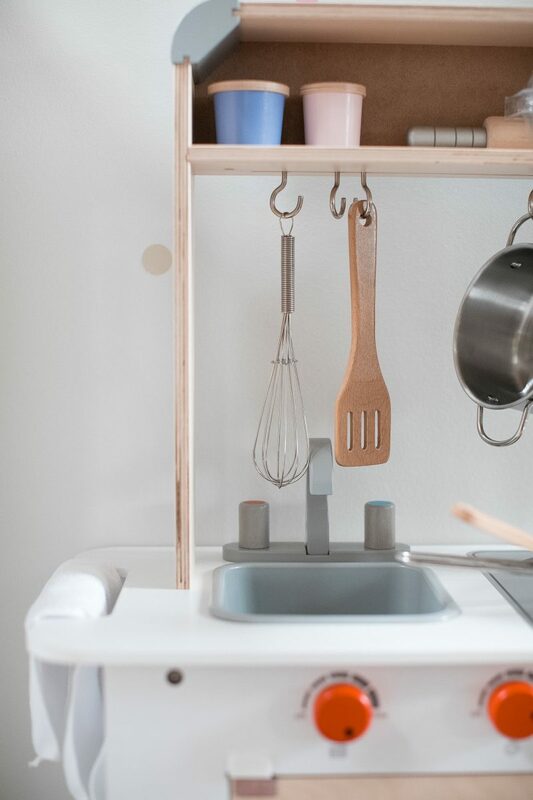 Love the setup of the kitchen. So cute. Thank you for reading! It was a fun project! Absolutely love these spaces! With two young boys I’ve picked up lots of ideas here, thank you! 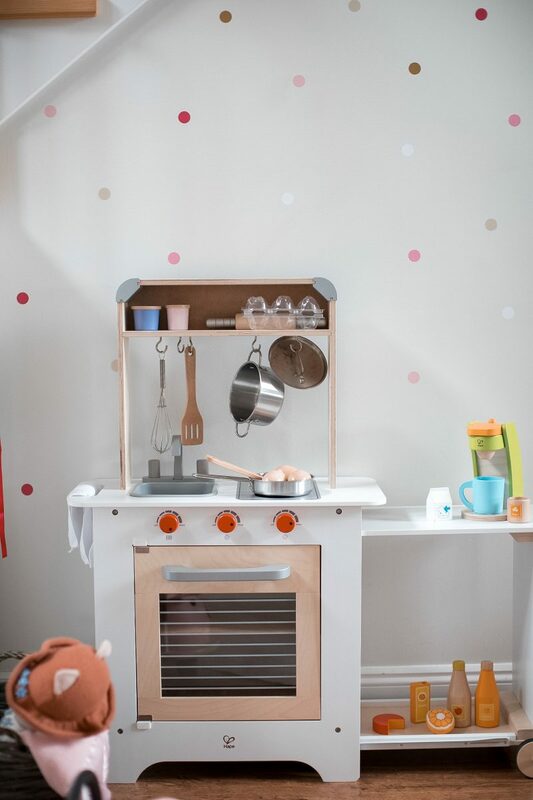 I’m all about organization, this play space is gorgeous and so adorable!! I love the pastel colors and how you decorated your place! It looks minimalist but full of character! 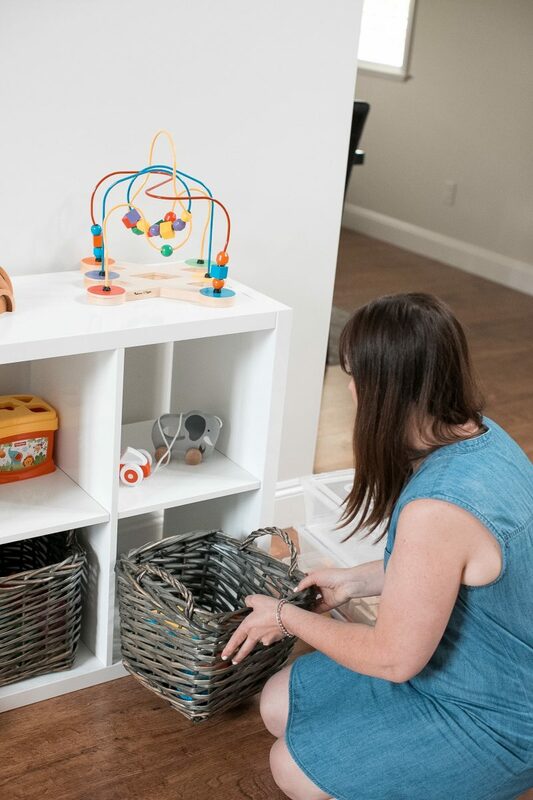 These are great tips and I love the fact that when we give our children organized play space not only does it help their creativity as they grow they learn to appreciate their space. 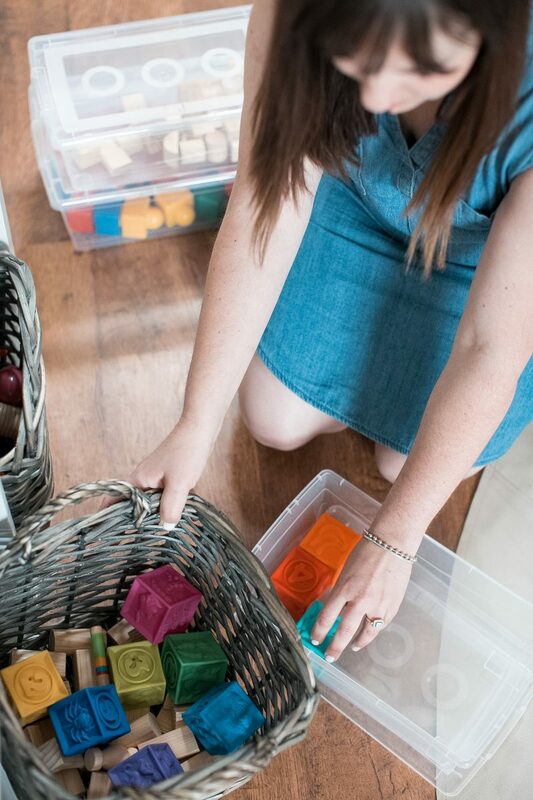 Your post is so useful to me right now as we’re looking for ways to organise my son’s play area. So inspirational!